Forms For Show Promoters - List your shows or let us post them on our website for you. Yes, - we'll even create a web page for your shows to be posted, anywhere in the contiguous United States . Print out a form and send in your show information. 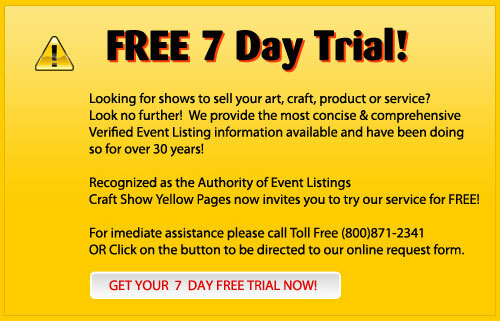 How is Art & Craft Show Yellow Pages different from other show publications? 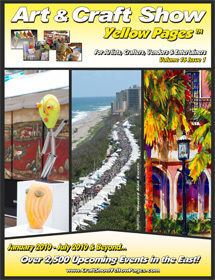 Subscribe to Art & Craft Show Yellow Pages . Subscribe now for hundreds of new shows in covering Connecticut, Massachusetts, New Jersey, New York, Pennsylvania & Vermont, show reviews, and articles to help you with your business. Bookmark this site and visit often. Feedback: Do you like this site?